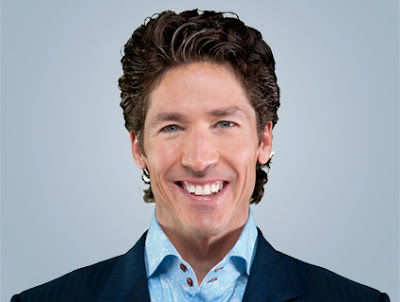 Joel Osteen and his FABULOUS hair!! Fundamentalist Christians choose to ignore a lot of things the bible condemns like wearing 2 different fabric or shaving. They choose to ignore things the bible condones like slavery. Somehow they can't seem to ignore the gay condemnation in the bible. Dan Savage told this to high school journalists. Many of the fundamental christian journalists in the audience didn't want to hear the truth about their beliefs and walked out. The Bible. We'll just talk about the Bible for a second. People often point out that they can't help it -- they can't help with the anti-gay bullying, because it says right there in Leviticus, it says right there in Timothy, it says right there in Romans, that being gay is wrong. We can learn to ignore the bulls**t in the Bible about gay people. The same way, the same way we have learned to ignore the bulls**t in the Bible about shellfish, about slavery, about dinner, about farming, about menstruation, about virginity, about masturbation. We ignore bulls**t in the Bible about all sorts of things. The Bible is a radically pro-slavery document. Slave owners waved Bibles over their heads during the Civil War and justified it. The shortest book in the New Testament is a letter from Paul to a Christian slave owner about owning his Christian slave. And Paul doesn't say "Christians don't own people." Paul talks about how Christians own people. We ignore what the Bible says about slavery, because the Bible got slavery wrong. Tim -- uh, Sam Harris, in A Letter To A Christian Nation, points out that the Bible got the easiest moral question that humanity has ever faced wrong. Slavery. What're the odds that the Bible got something as complicated as human sexuality wrong? One hundred percent. The Bible says that if your daughter's not a virgin on her wedding night -- if a woman isn't a virgin on her wedding night, she shall be dragged to her father's doorstep and stoned to death. Callista Gingrich lives. And there is no effort to amend state constitutions to make it legal to stone women to death on their wedding night if they're not virgins. At least not yet. We don't know where the GOP is going these days. People are dying because people can't clear this one last hurdle. They can't get past this one last thing in the Bible about homosexuality. Now we get to Joel Osteen spouting exactly the same crap that Dan correctly claims. His faith is "based on what the scripture says" and yet, there he is... clean shaven, not advocating for slavery. Come on, people. Christian literalists don't believe literally everything in the bible. They just believe what's convenient.